This is within Xinjiang. The only sign that people had been here is the existence of the electic posts. 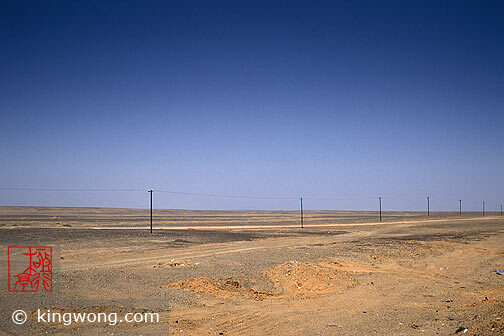 Such barren landscape is the norm for hundreds of kilometers.